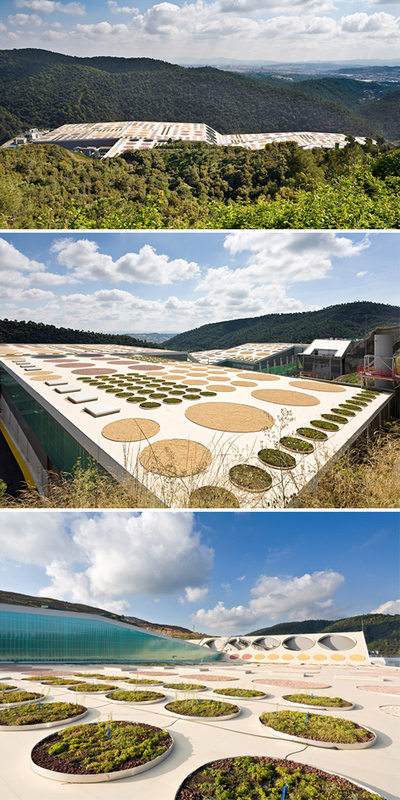 Disks of vegetation dot the roof of this waste treatment facility, creating a pleasingly patterned green roof. From far away it looks like a painter's palette. Located in Vallès Occidental, Spain, and designed by Batlle I Roig Architects.